10 Stocking Stuffer Gifts Featuring Crest Pro-Health! It's almost Christmas . . . the weather outside is frightful, the fire is so delightful, and I'm finally starting to wrap up all my gift shopping. (WHEW!) The only thing I still need to take care of is picking up stocking stuffers for the family. This is honestly one of my FAVORITE shopping tasks because I get to pick out whatever I want! I don't have to go off anybody's Amazon Wish List or hunt down a deal on a Patagonia Coat or a video game console. When it comes to stocking stuffers – anything goes! Mom gets to be in charge! 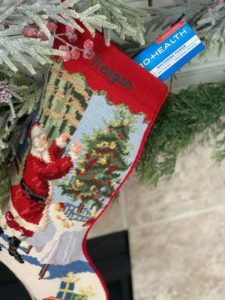 Their favorite candies and sweets are a MUST in my kids' stockings. But also – bags of chips are great because you get maimum stuffing without the weight. Mad Libs, Riddles or Joke Books are great – but word searches and journals also make a nice stocking stuffer! 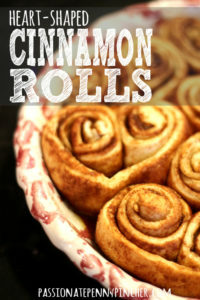 These are especially good if you have a long car ride home from Grandma's…. 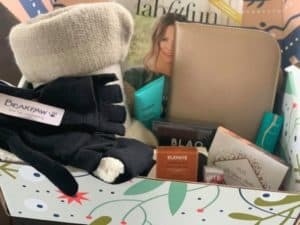 I like to give Lip Balms and Nail Polishes (both really inexpensive) but also sometimes nicer items that I've received in my FabFitFun boxes! Another great way to keep the kids busy over Christmas Break – some great card games here! 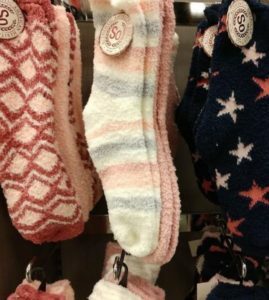 Fuzzy Socks, Crazy Socks, or just normal socks – kids don't get excited about socks as a present, but as a stocking stuffer they're perfect. You can get ALL OF THESE for under $4 at Walmart! Especially “special” pens you wouldn't normally buy the kids. I know I'll be using these for sure! 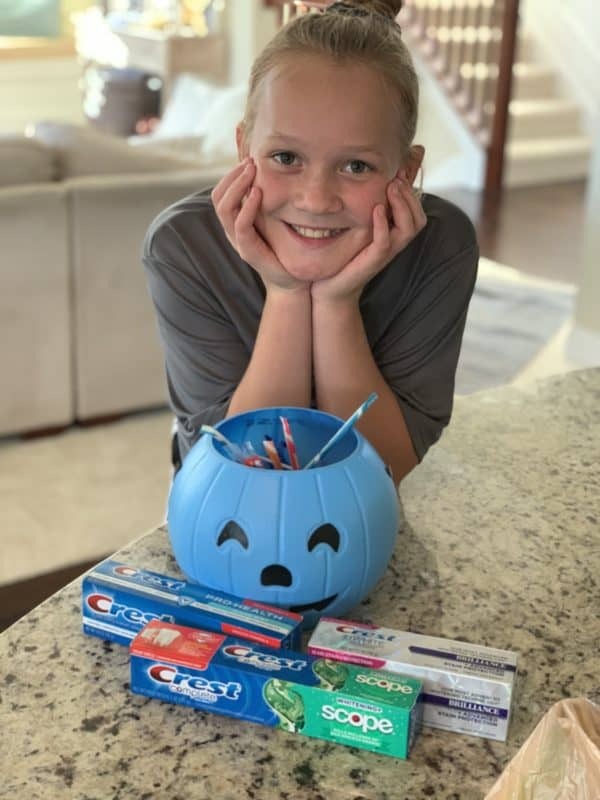 Finally – something I always ALWAYS include in my kids stockings is new toothbrush and toothpaste. They need it to counteract all the Christmas cookies and candy! Makes it only $11.98 for FIVE BIG 6.3 oz tubes! I'd love to hear what kinds of stocking stuffers you love to shop for – leave us a comment and let us know! October 30, 2018 by Laurie Leave a Comment This post may contain affiliate links, which means if you click on a link and purchase something, I may earn a small commission (at no additional cost to you.) See my disclosure policy HERE. This post is sponsored by Family Dollar, but all opinions are 100% mine. 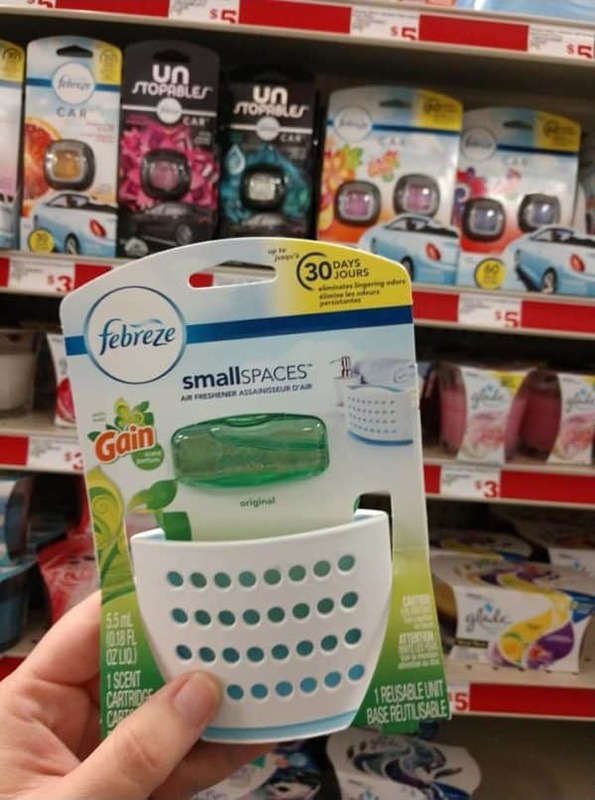 Have you taken a fresh look at Family Dollar lately? Family Dollar is a super-convenient stop for good values on household necessities, last minute groceries, party supplies and seasonal items. Most items in the store are priced under $10 – with lots of $1 WOW items sprinkled here and there. But did you know you can save a bundle with the Family Dollar Smart Coupons App? 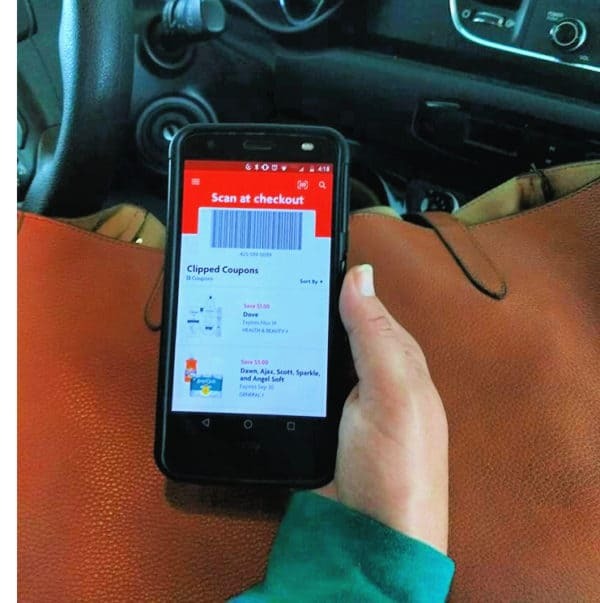 It's a simple savings app that's chock full of Digital Coupons you can stack with weekly specials. And the app just got better…. 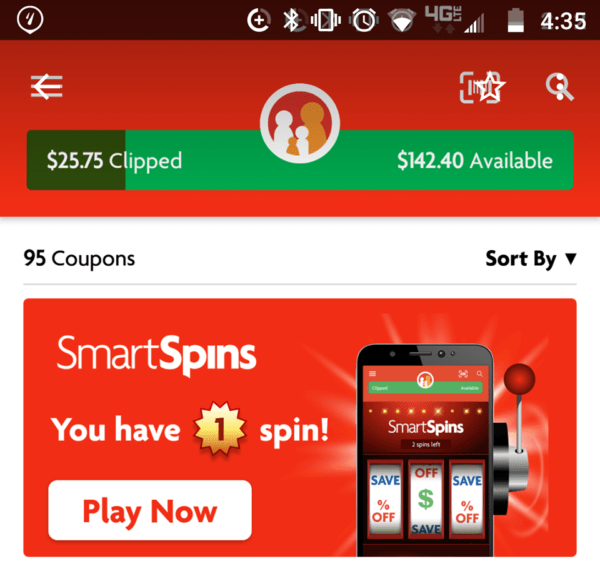 Family Dollar just rolled out a new in-app game called SmartSpins! 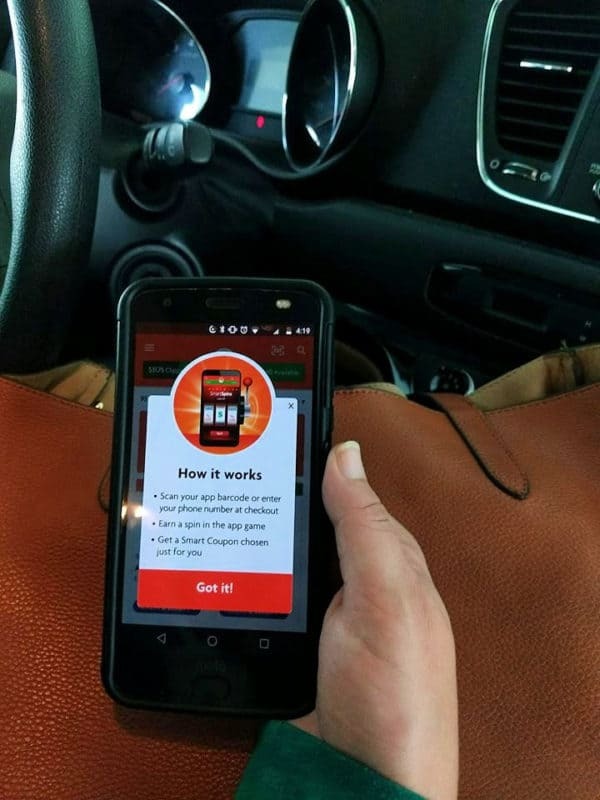 SmartSpins is Family Dollar's new in-app game that rewards you for shopping. Every time you check out at Family Dollar, you'll earn a Spin on the SmartSpins wheel. Prizes include high-value coupons that you wouldn't normally see – like $5 OFF your shopping trip! I made quick stop at Family Dollar this week on my way to pick up the kids from school and had a great trip. 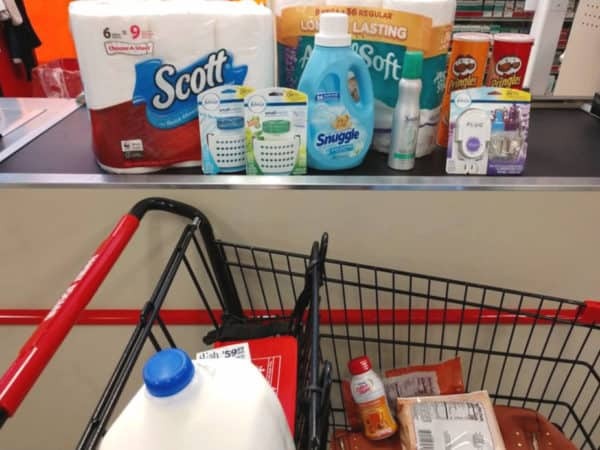 I was out of paper towels and bath tissue – and the Smart Coupons app had a $5 off $15 Digital Coupon for me to use. It was super easy – and it earned me a spin in the game. I won a $5 off $25 coupon – which I'll be able to use on my next trip! 1 . 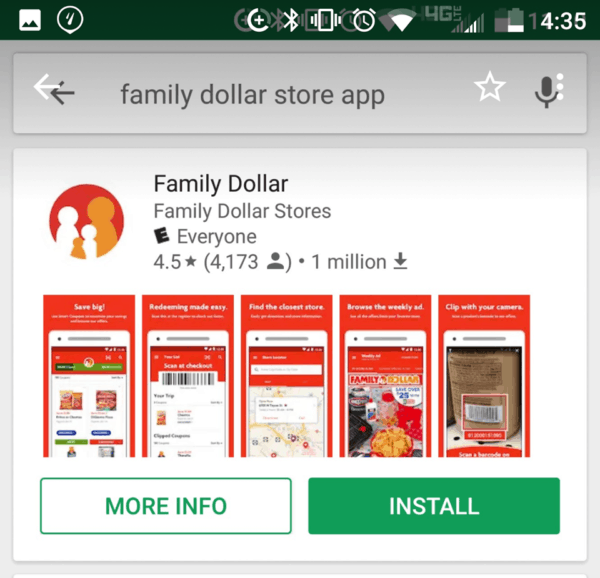 Download the Family Dollar Smart Coupons App. Current version must be downloaded. 2 . Create an account and link it to your phone number. *You can clip them in-store but I'm always afraid I'll forget, so I clip them at home or while I'm sitting in the car! 5 . At checkout enter your phone number on the pin pad. 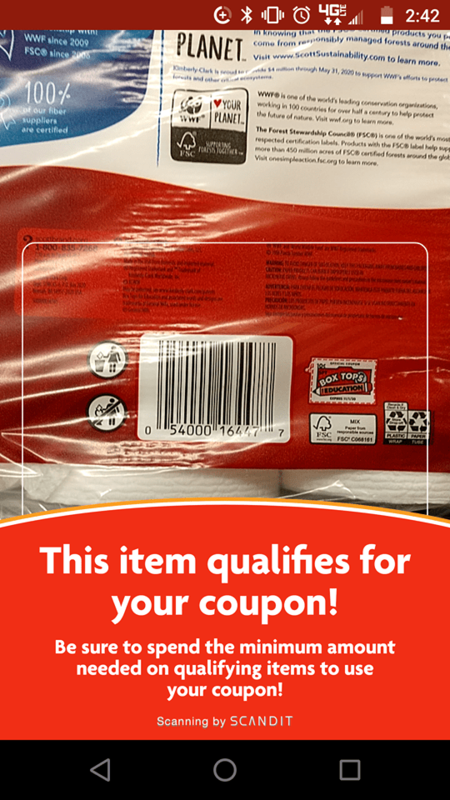 (Or scan the barcode on the Smart Coupons app) Any coupons you've clipped in the app will be deducted (woohoo!) 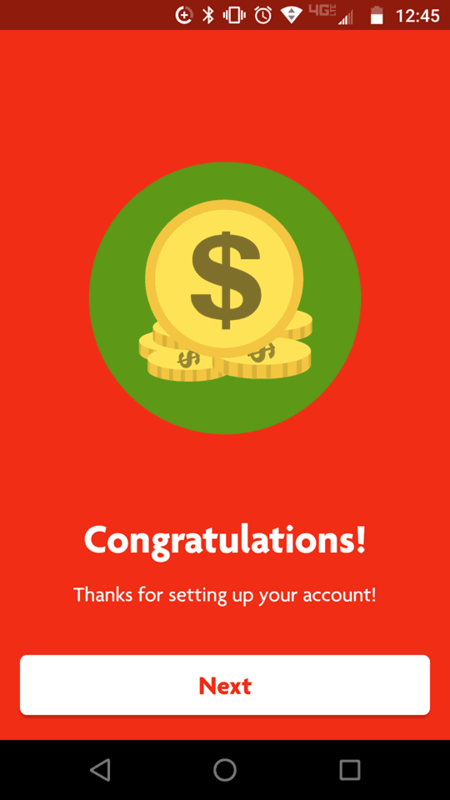 After you've checked out – you'll get a notification that you've earned a Spin. 6 . Spin to Win! 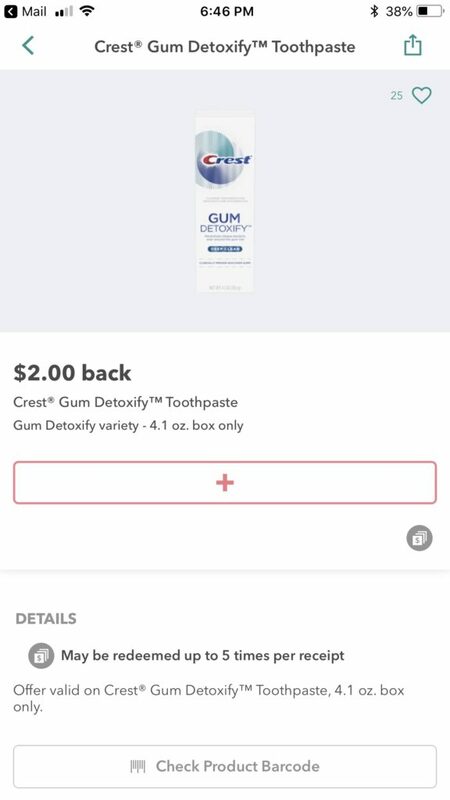 If you're not 100% sure if an item works with an Digital Coupon – use the handy barcode scanner in the app to check it. It will save you time and frustration at checkout! 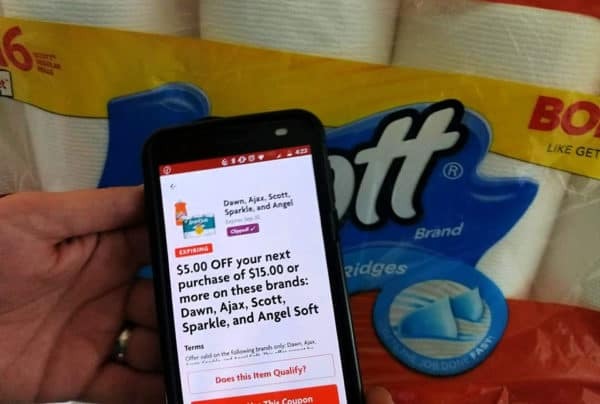 I'd love to hear if you've shopped Family Dollar lately using the SmartCoupons App – and what kinds of rewards you've won using the SmartSpins game! Halloween Traditions, Treats and Crest! 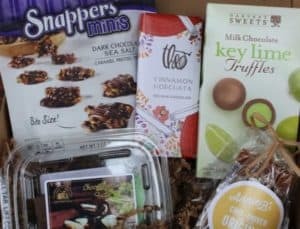 October 29, 2018 by Laurie Leave a Comment This post may contain affiliate links, which means if you click on a link and purchase something, I may earn a small commission (at no additional cost to you.) See my disclosure policy HERE. But all those (yummy!) sugary sweets can do some serious damage, and that's where Crest comes in! 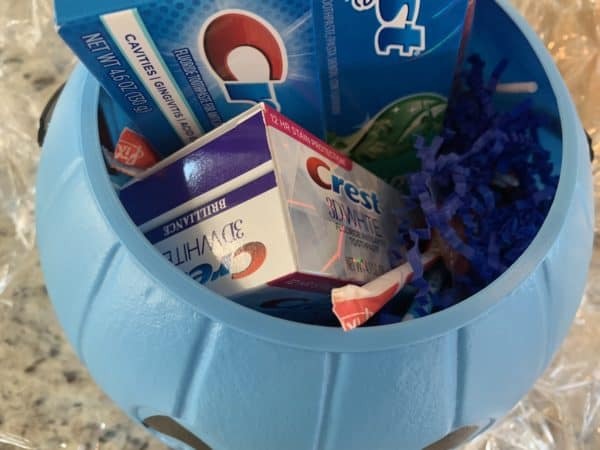 Thankfully Crest is on hand to protect your family's teeth after all that Halloween candy. 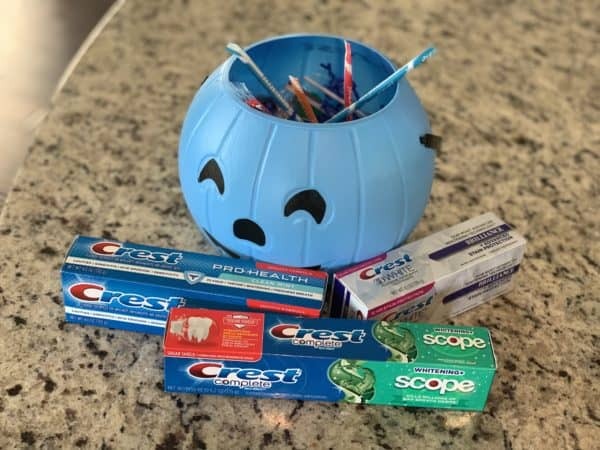 I've partnered with Crest this year to remind you to brush away sugary side effects of Halloween. Brushing is SO IMPORTANT in keeping your teeth cavity-free and your gums healthy. 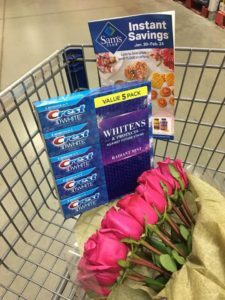 My favorite Crest toothpaste is Crest 3D White ~ it makes my whole mouth feel SO CLEAN, and I absolutely love the Crest 3D Whitestrips too! 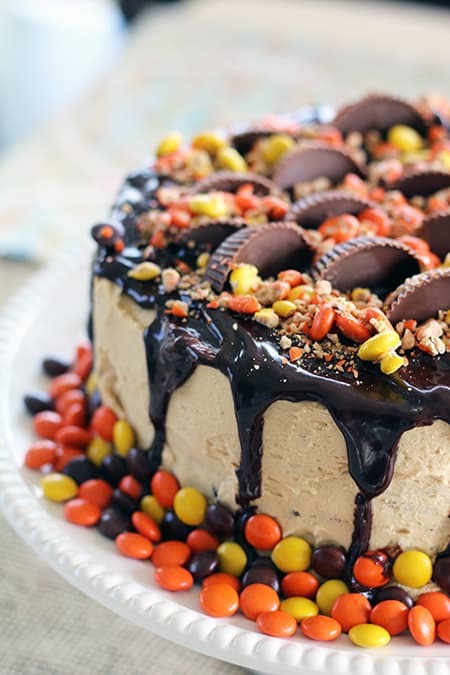 While lightening up on the sugar is always the best choice, it would be awfully hard to make Halloween completely healthy. So, brushing before bedtime can take some of the stress over the mini sugar-binge that might happen on Halloween! I don't think I'm that bad… but maybe there have been one or two instances…. If you save your candy in a Ziploc bag – you can use it later on when making cookies or other holiday goodies! 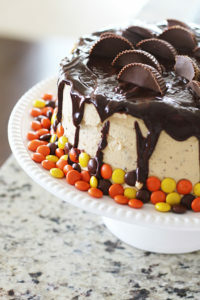 These are my favorite leftover candy recipes – I'd love to hear some of yours in the comments as well! September 12, 2018 by Laurie Leave a Comment This post may contain affiliate links, which means if you click on a link and purchase something, I may earn a small commission (at no additional cost to you.) See my disclosure policy HERE. 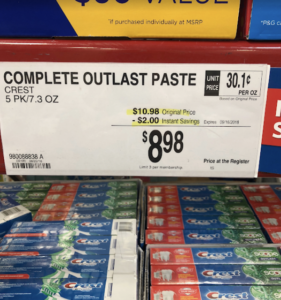 Crest Toothpaste 5-Pks only $8.98! Have you gotten back into your school routine yet? 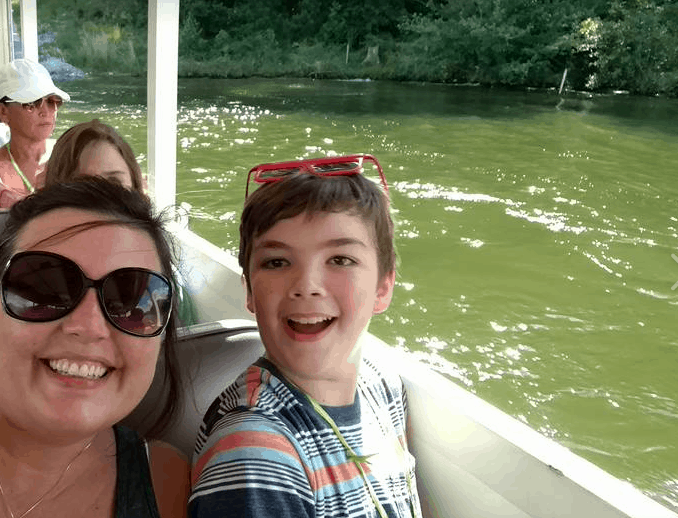 It's hard to get used to working around the kids' crazy school and sports schedules again after being able to just float along all summer having fun! 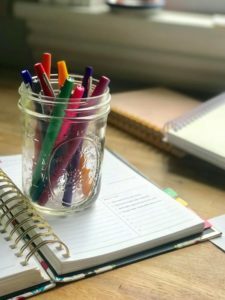 The stress of having a million things to do all of a sudden can feel overwhelming – so I try to be better at planning ahead once school's in session. One of the ways I reduce stress in my weekly routine is to stock up on things we use all the time. (That means I can spend less time making last-minute store runs.) 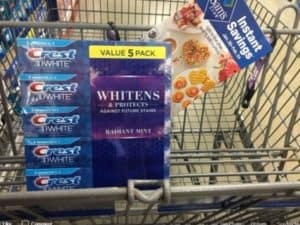 For instance, I often buy for our family is Crest toothpaste – I love the Crest 3D White and the Crest Pro-Health! I don't want to run out and have to run out and pay full price for it, so I try to grab several at once. 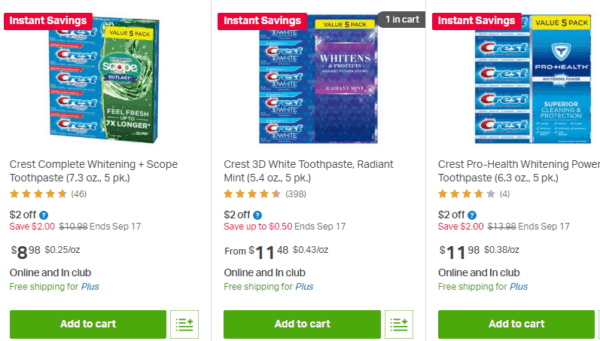 Y'all – this makes an AWESOME deal on Crest toothpaste. Especially because we're talking BIG tubes of toothpaste, not little 3.5 oz tubes. That's just $2.39 for a big 5.4 oz tube. Those are around $6 each at other stores! That's just $1.79 for a big 7.3 oz tube. 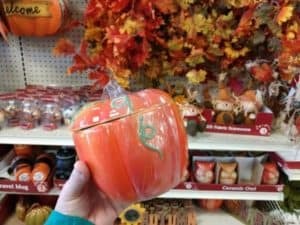 Those are$4-$5 at other stores! Best part? 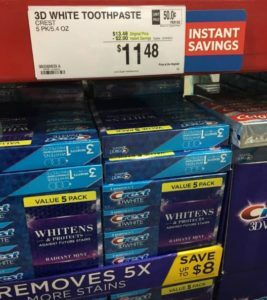 This $2 OFF Instant Savings coupon can be used up to 3 times on Crest and Oral B items! Go HERE to snag this deal online – or head into a Sam's near you! 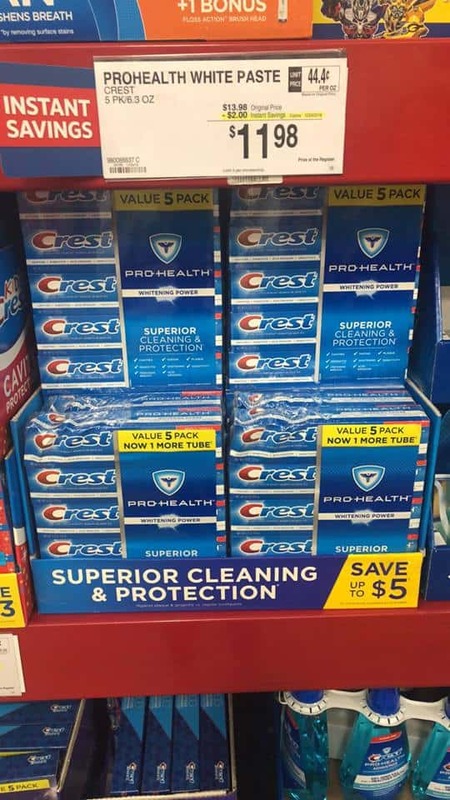 This is a sponsored post on behalf of Crest and Sam's Club, however all opinions expressed above are 100% my own ~ I was super excited because this is an awesome deal! June 23, 2018 by Laurie Leave a Comment This post may contain affiliate links, which means if you click on a link and purchase something, I may earn a small commission (at no additional cost to you.) See my disclosure policy HERE. Have you tried Crest Gum Detoxify? It's a new toothpaste that cleans not only your teeth, but also goes around and even below your gum line to provide protection against gingivitis and leads to healthier gums. 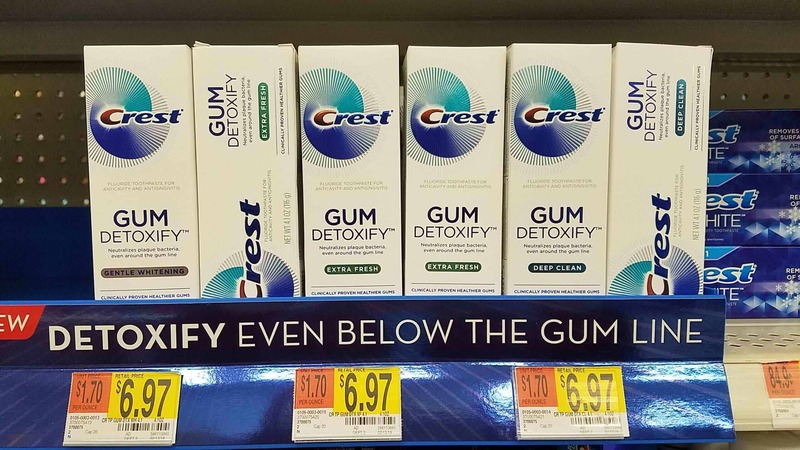 I was super excited to see the $2 off Ibotta rebate available on Crest Gum Detoxify (you can use it up to FIVE TIMES right now at Walmart! ), so it's a great time to stock up. Makes it $4.97 after Ibotta rebate, and don't forget you can purchase up to five and get rebates on all five! It's available at Wal-mart, mass retailers, and your local drug store too! 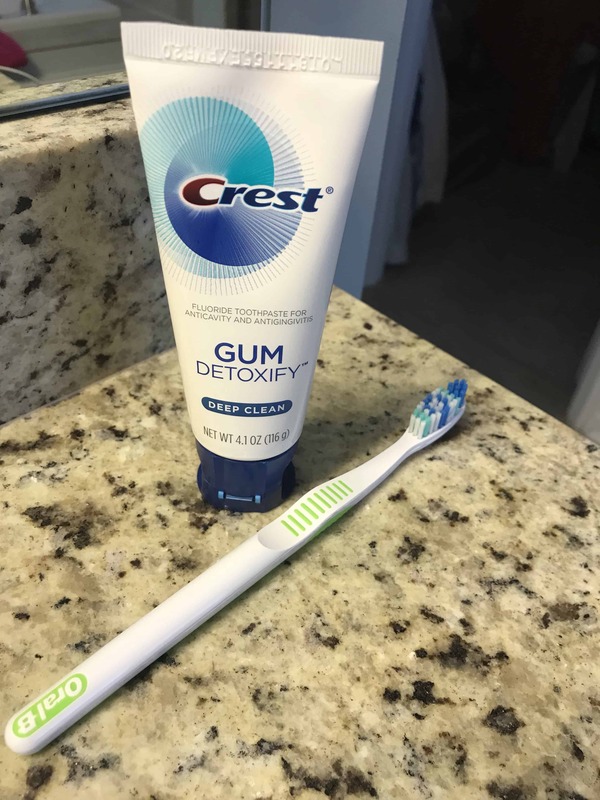 After trying it out I loved how clean it made my teeth feel after brushing and will definitely be stocking up while the $2 off Ibotta rebate is available! 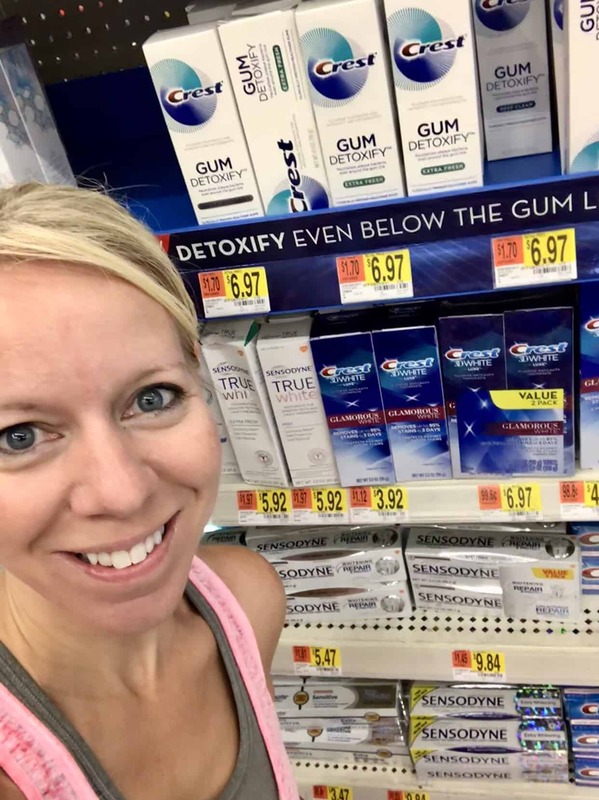 If you have early signs of gingivitis or are concerned about gum health, this is a great way to keep your teeth healthy long term ~ go HERE to snag your Ibotta rebate to keep those pearly whites health and see some serious savings too. 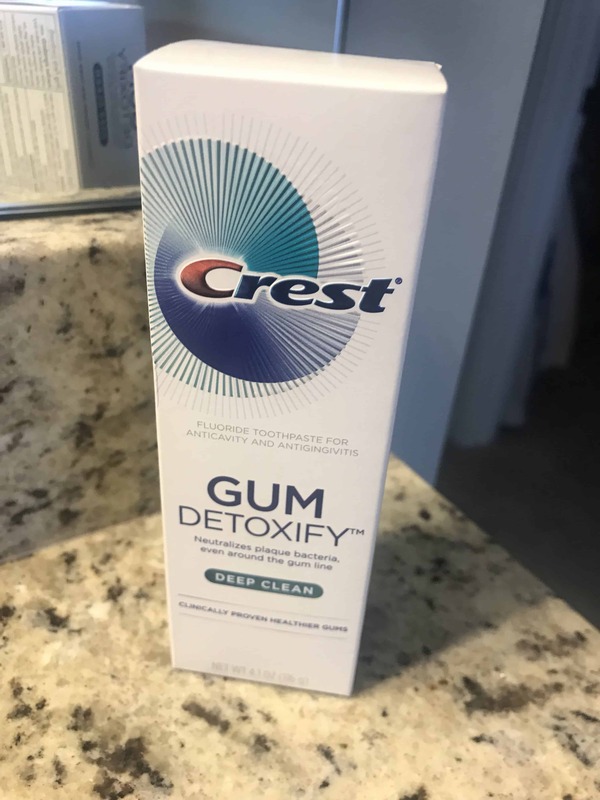 This is a sponsored post on behalf of Crest Gum Detoxify, however all opinions expressed above are 100% my own ~ I was super excited to try this out and love that they're offering the $2 Ibotta off rebate on Crest Gum Detoxify right now! June 8, 2018 by Laurie 4 Comments This post may contain affiliate links, which means if you click on a link and purchase something, I may earn a small commission (at no additional cost to you.) See my disclosure policy HERE. 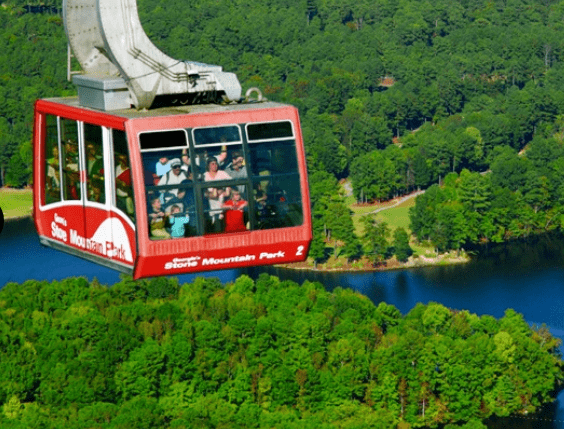 ALSO – we just spotted a hot deal on Stone Mountain Park memberships today – check this out! 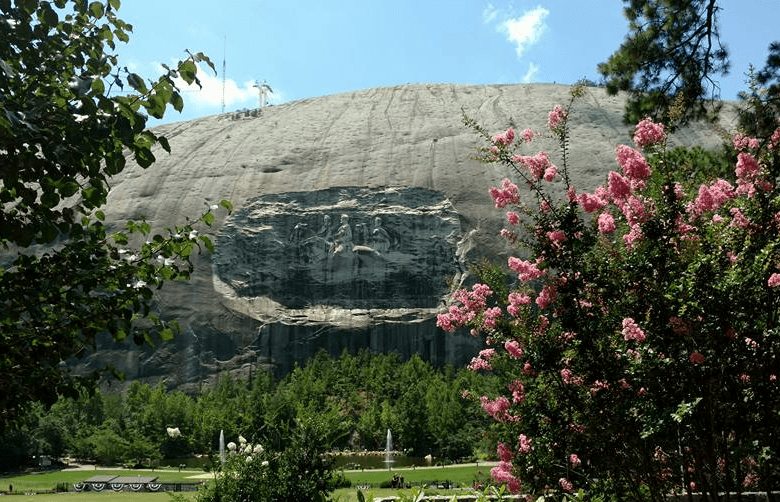 Hurry over to Groupon and snag these Stone Mountain Park Memberships for a HUGE discount! 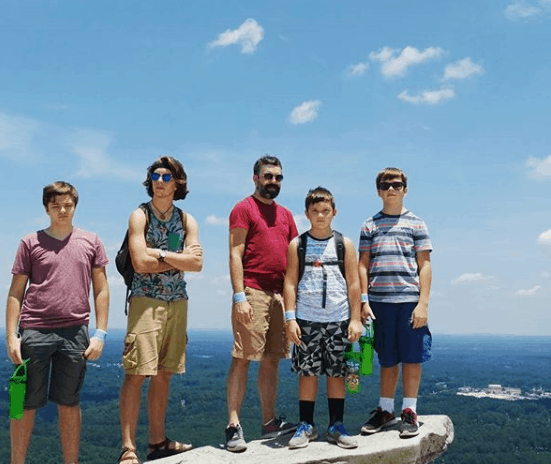 We loved Stone Mountain Park! 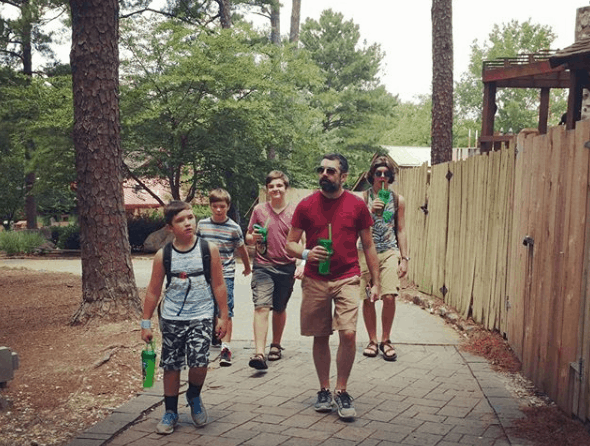 With 4 boys, it was the perfect blend of adventure, outdoor activity, cool things to see and rides (of a kind). While on top we got a cool picture at this spot where it looks like you might be standing on the edge of a cliff 🙂 This is one my fave family pictures ever! 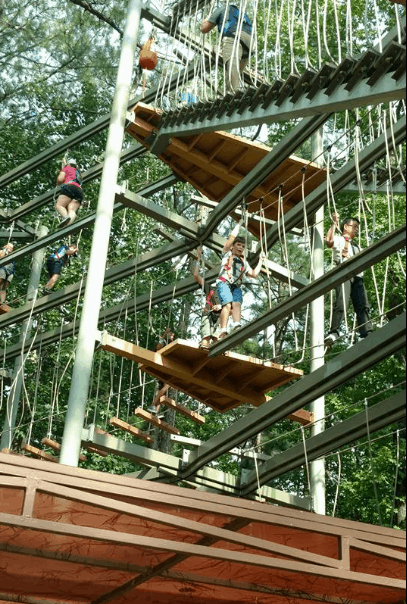 The kids did the challenging SkyHike – which is one of the nation's largest adventure Ropes Course. It's a whole giant section of the park with rock climbing walls and a little stream with sand to play in and just a ton of fun stuff to do. We walked through the little “town” and watched an awesome Glass Blowing demonstration, ate at a restaurant and browsed the gift shops. Be aware that the restaurants are a little pricey – you may want to pack a cooler lunch and have a picnic to save some money. Because it was 104 degrees out – one of my favorite parts was the 4-D movie experience. It was a nice, short Ice Age film (maybe 10 minutes?) – but during it you got spritzed with water when the Mammoths sneezed, woooshed with air as you fell off a cliff, misted with rain, and all sorts of other effects. Just a surprisingly fun experience! 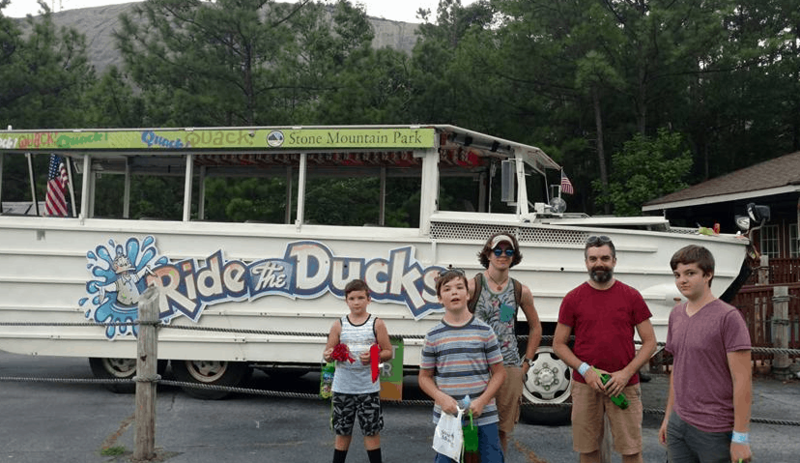 Maybe the kids favorite thing of all (which surprised me) was the Stone Mountain Duck Boat tour (so fun!) We got duck calls and the kids got to take turns driving. It was also just refreshing on such a hot day! 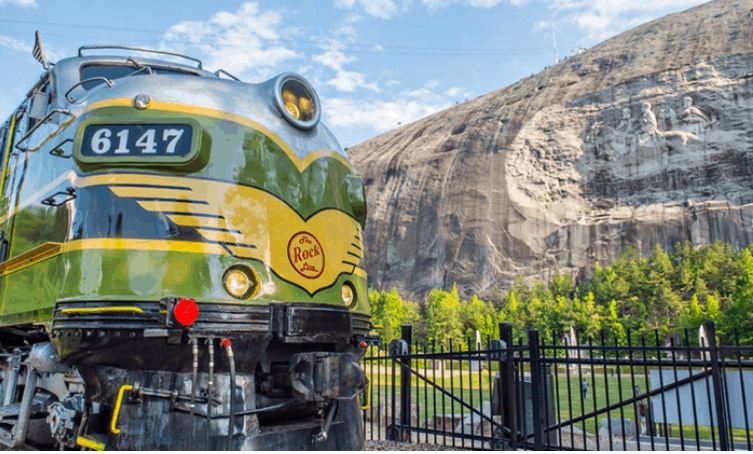 Head over to get your Groupon today – so you your family can visit throughout the year! There are seasonal attractions as well – I'd love to go in the Fall when it's cooler! August 11, 2017 by Laurie 13 Comments This post may contain affiliate links, which means if you click on a link and purchase something, I may earn a small commission (at no additional cost to you.) See my disclosure policy HERE. This post was sponsored by Hollar. All opinions are 100% my own. 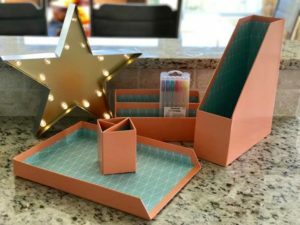 Besides backpacks, gel pens, whiteboards and lunch boxes – I think their new Just the Nest line is SO super cute. It includes gorgeous little journals and pens, pretty desk sets and more. That's a GOOD little box for under $12.40 shipped! 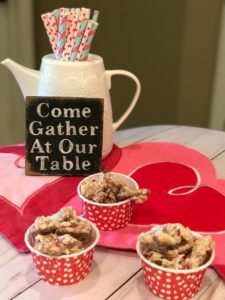 I used these items to fluff up a butler's pantry into a homework hub for the kids – since they use the kitchen to do their homework. It makes it so much more inviting and tidy and just… fun! I've ordered a couple of items from Hollar so far (you can watch me unbox my last Hollar Haul here! ), and really do love so many things they offer. Check out my post on the 3 Things I Love About Hollar! If you're new to Hollar, free shipping on your first $10 order makes it pretty painless to try – check out what's new in stock HERE! Have you tried Hollar? What kinds of items would you recommend? April 28, 2017 by Laurie 2 Comments This post may contain affiliate links, which means if you click on a link and purchase something, I may earn a small commission (at no additional cost to you.) See my disclosure policy HERE. 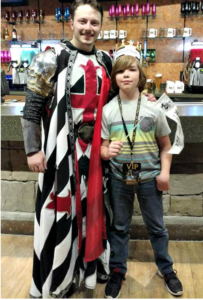 Note from Laurie: My friend Jamie recently took her family to Medieval Times, and offered to share a review of her experience. I think this looks like such a fun night for the family, and am so glad she took the time to share! I'd love to hear your reviews on Medieval Times too ~ leave a comment to share. Recently the plot has changed – there is a Queen instead of a King running the tournament, and the story plays out much differently. 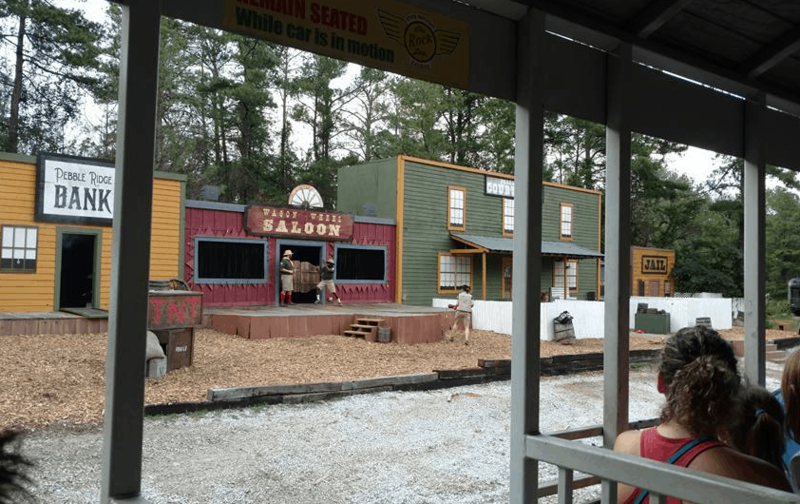 Just a heads up that you may want to read reviews on the newer plot if you're thinking of going, as we've had one reader who had a negative experience. When I was in 8th grade my class went on a field trip to Chicago, and while we were there we went to Medieval Times Dinner & Tournament. It was such a thrill for me – easily my favorite part of the trip. While we sat and had a scrumptious feast brought by the castle serf (garlic bread and tomato bisque! a whole roasted chicken and buttered corn! soft drinks and pastry!) we learned more about our knight. I cheered when he rode out on his steed – but my kids completely drowned me out. 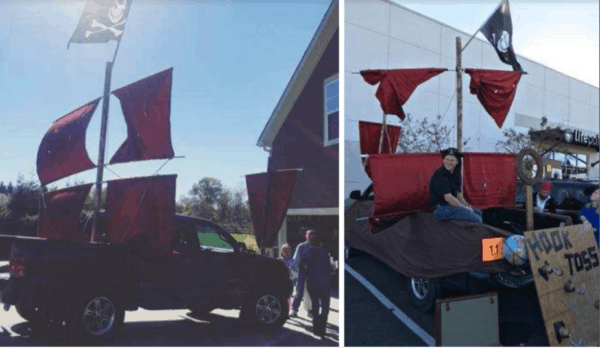 I don't think anyone feels the tiniest bit silly cheering, booing and waving their penants – the atmosphere and excitement is really that contagious! 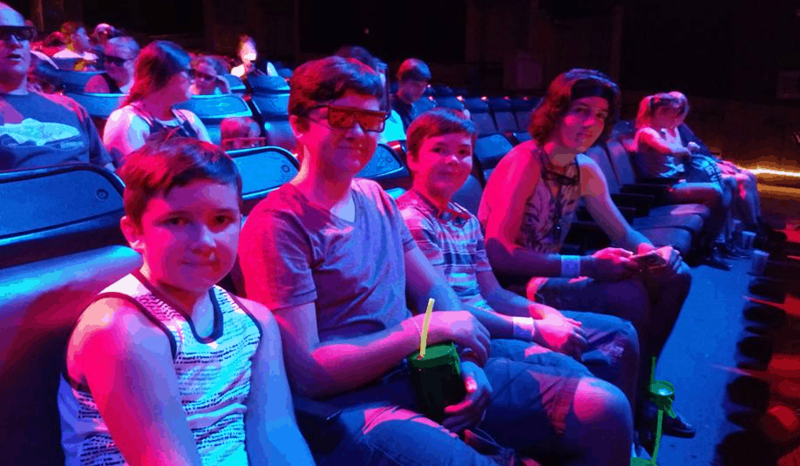 As the story played out before our eyes, we met the King and Princess, watched the knights entertain us with feats of (very cool) horsemanship and jousts, and witnessed the falconer release his trained falcon over and over on a live flight through the arena. When greed and betrayal enter the plot (duh-duh-duh), the result is a series of very realistic battles. Swords clash and give off sparks! Battle axes and maces are wielded fiercely! Knights are “wounded” and then come back (huzzah!) for a final blow. It's pretty awesome, and just plain fun to watch. After we'd collected a sufficient number of souveniers, had our pictures taken with the black and white knight, and exited the castle, I asked the kids about their favorite parts. 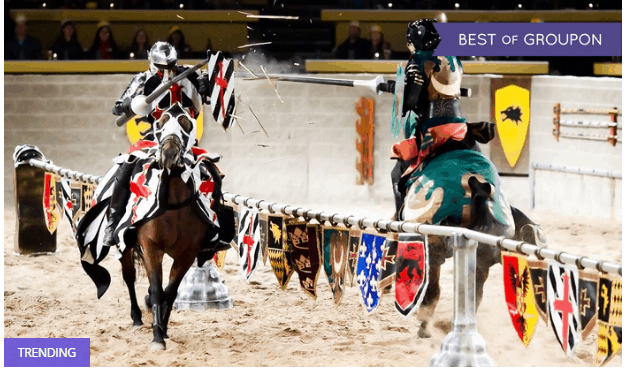 If you're interested in a trip to Medieval Times Dinner & Tournament – there are a couple nice deals going on right now! 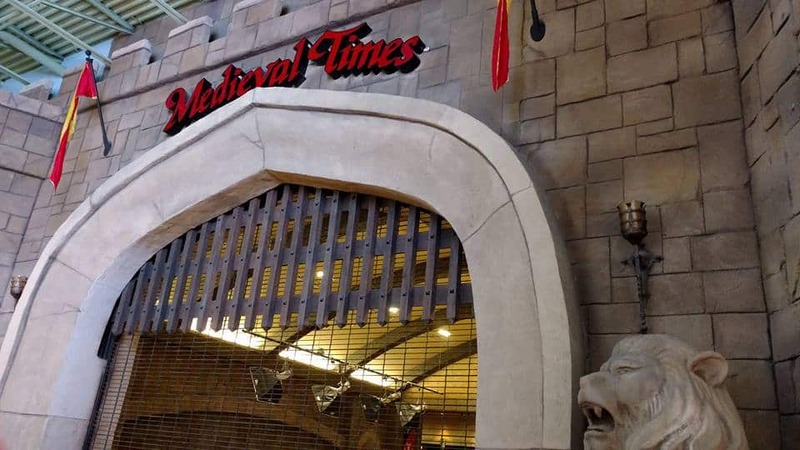 Thanks to Laurie for letting me tell everyone about my love for Medieval Times Dinner & Tournament – and to Medieval Times for providing tickets to my family this time around!